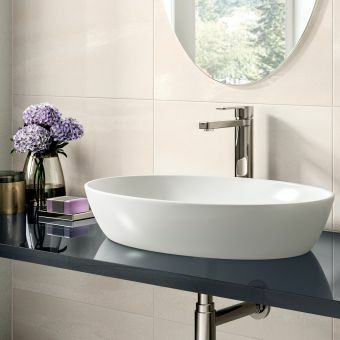 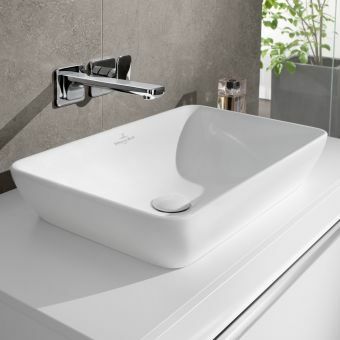 The new Roca basin ranges are chic and minimal, with the use of sharp lines and rounded curves to complement the overall look of any suite. 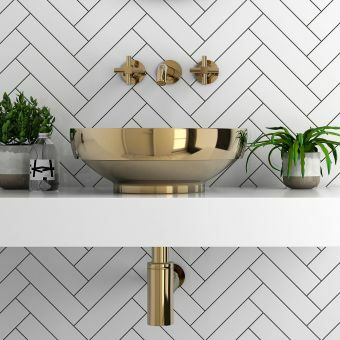 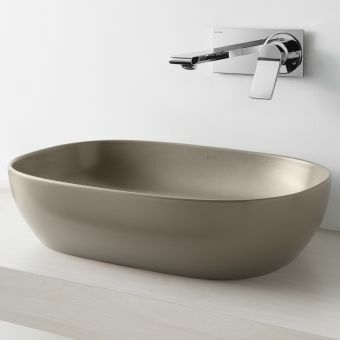 The unique look is created by the curving sides of these contemporary bathroom basins which give it a smooth and appealing feel, whilst retaining a minimalist starkness. 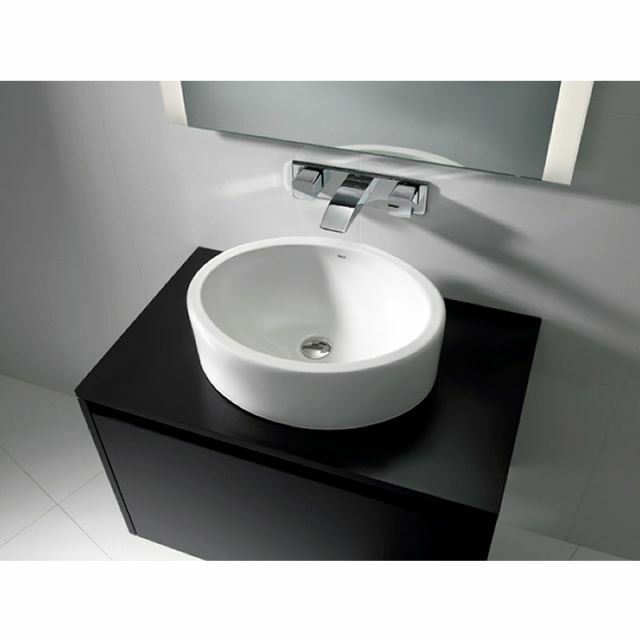 Size: 490(w) X 390(d) X 150(h)mm - 0 tap holes no overflow. 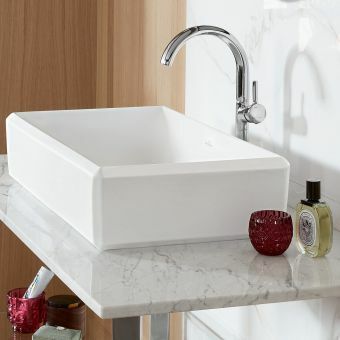 Stylish vanity countertop bathroom basin in high gloss white finish. 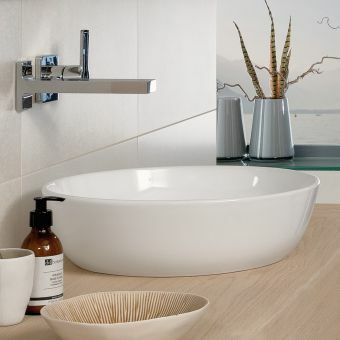 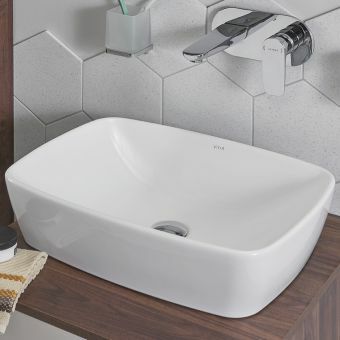 This contemporary handwash basin will complement any modern bathroom range. Please note: the price does not include taps, countertop or waste fittings. 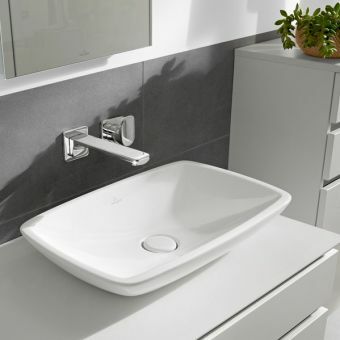 Please see our extensive brassware ranges available in the 'Taps & Mixers' section.